The membrane of the capsules in the base has been designed to be thin and soft, making the capsules easy to burst, which makes the product feel lighter. 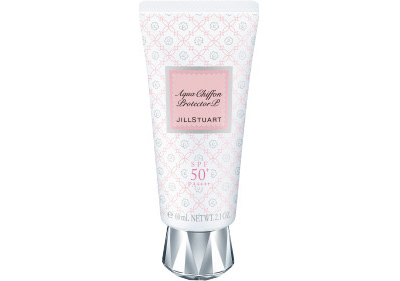 Be enveloped in the fragrance of White Floral while you apply, and enjoy the light aroma. Effects include stimulating cells and supressing inflammation, meaning your skin will be packed with hydration, and feel moisturized to the touch. Forms a barrier for the skin against atmospheric pollution, such as dust, dirt and pollen. Protects delicate skin from environmental stressors. Contains sweat and sebum absorbing powder so your skin will stay smooth and dry, while feeling comfortable, all day long. The iris plant has a beautiful blue flower. The name is taken from the goddess Iris, of Greek mythology. The effects of iris extract include stimulating cells and supressing inflammation, as well as improving the barrier function of the skin. Won’t be beaten by even harsh UV rays, and will give you skin that’s packed with hydration, and feels moisturized to the touch.